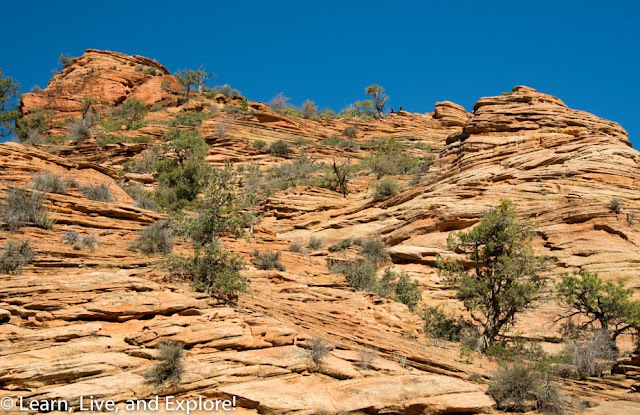 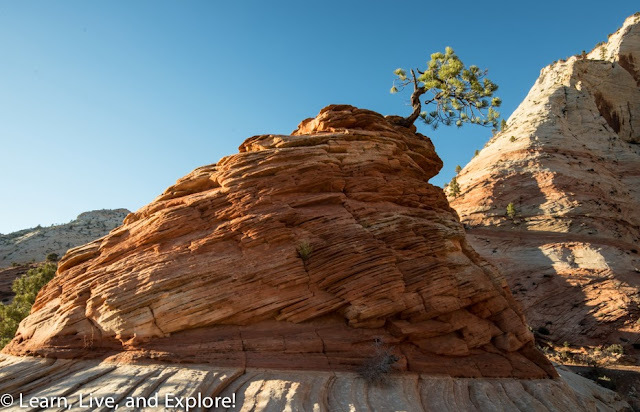 Zion National Park, Utah - Playing with Rock Patterns ~ Learn, Live, and Explore! 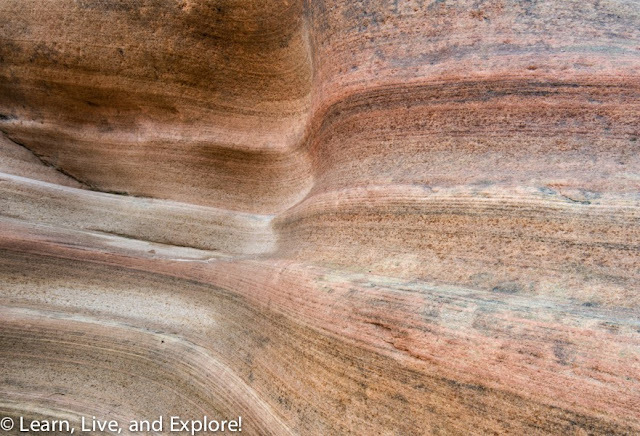 While roaming around Zion National Park, it's hard not to notice the beautiful striations of the Navajo sandstone surrounding you wherever you go. 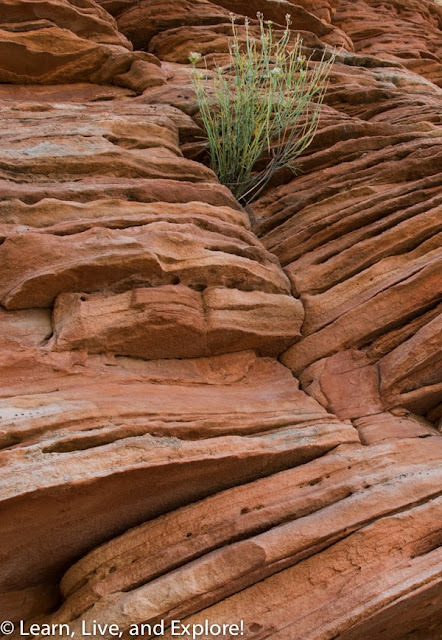 It's impossible for me to fathom someone not being impressed by the millions of years it took for these beautiful, natural geological designs to form. 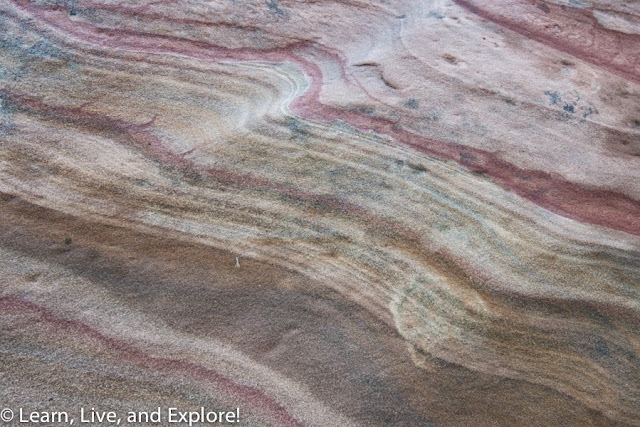 Since I was wandering the park with camera in hand, it should be expected that my eye would see the movement in the rock and want to capture it through the lens. 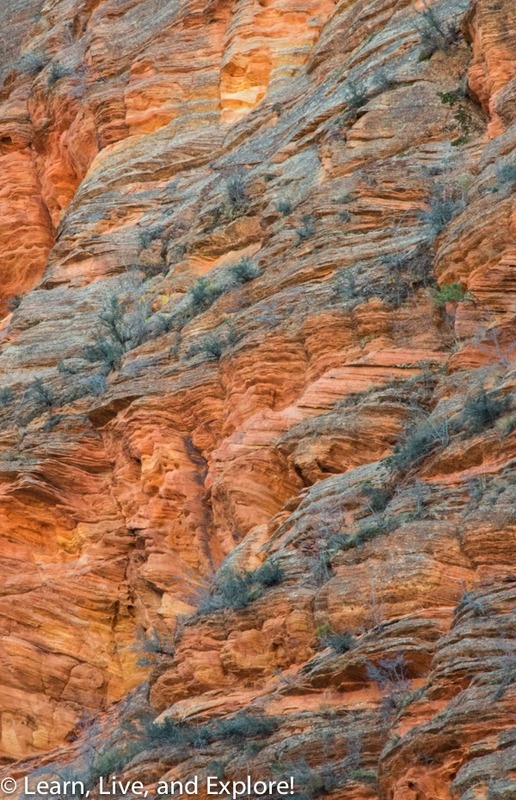 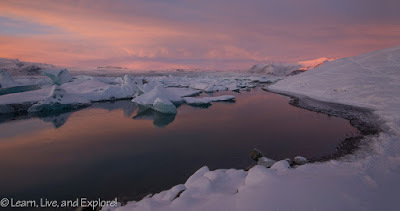 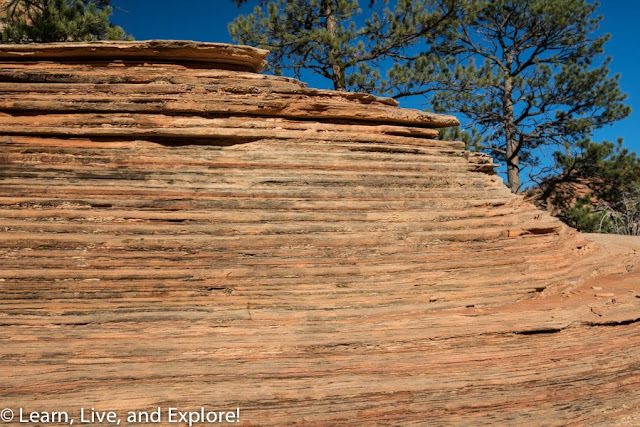 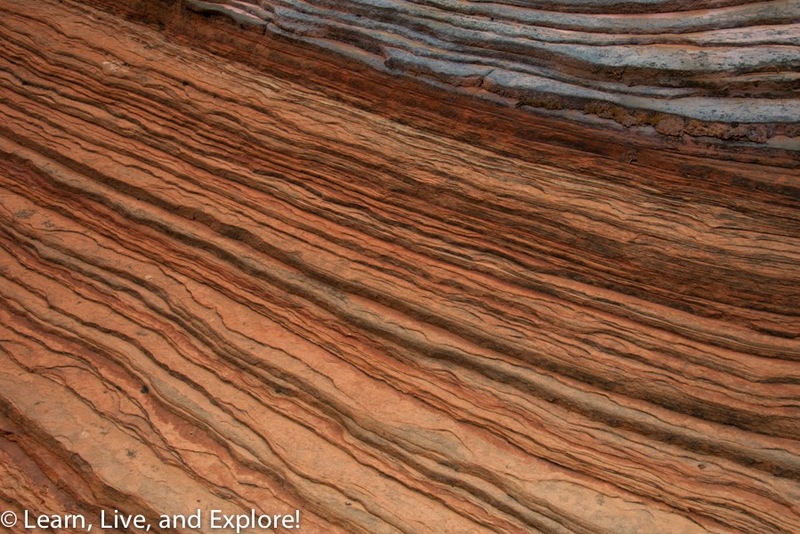 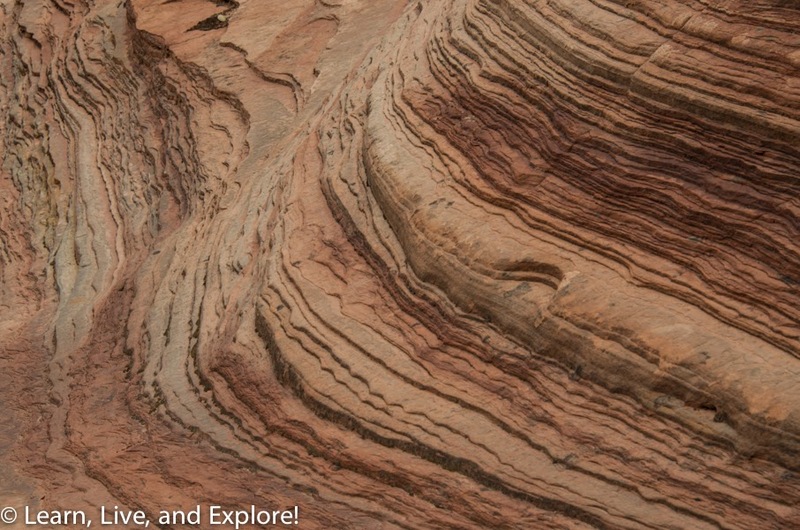 If you're not into fascinating coloration of sandstone, you may not like the following photos. Or maybe they will inspire you to come seek them out for yourself. 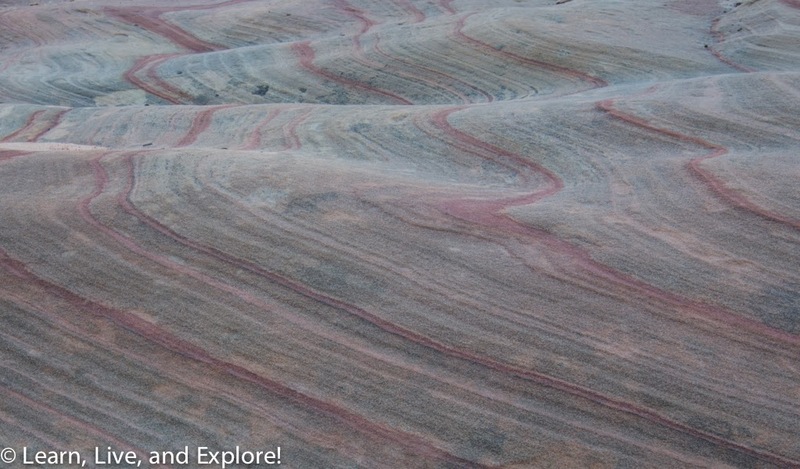 Who knows!